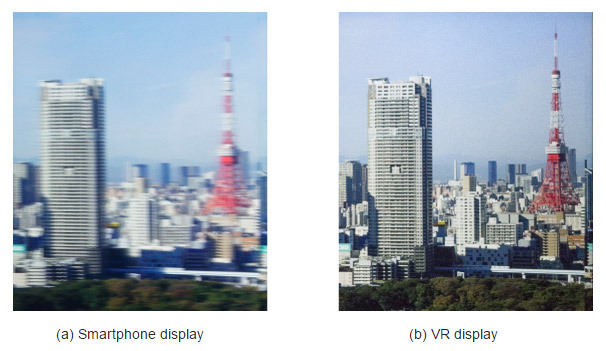 JDI, a display conglomerate consisting of the display businesses of Sony, Toshiba, and Hitachi, announced this week the development of ultra high resolution panels that are made specifically for virtual reality headsets. 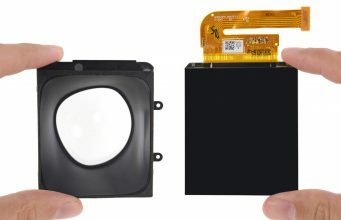 In a press release issued this week, JDI says that it has already begun shipments of a 651 PPI (pixel per inch) made-for-VR LCD display which uses the RGB subpixel layout (compared to the PenTile layout used by the Rift and Vive displays). The 1700 x 1440 3.42 inch display has a 1.18:1 aspect ratio, meaning it’s mostly square compared to the typical 16:9 rectangular aspect ratio of a smartphone or TV display; that’s because two of the displays are designed to be used in a VR headset—one for each lens—which also opens the door to hardware IPD adjustment (like we see on the Rift and Vive). For comparison, the Rift uses a pair of 1080 x 1200 displays (same as Vive) with a PPI of ~456, while Gear VR’s PPI comes in at 575 PPI (when used with the Galaxy S7). So the new JDI display has around 30% more pixels than the Rift and the Vive, and around 12% more than Gear VR. JDI says the IPS display is capable of a 90Hz refresh rate and a 3ms black-to-white response time, which is critical to keep low to reduce motion blur that’s especially noticeable when in VR. The company says they have already begun shipping samples of the 651 PPI VR display, but they aren’t stopping there; JDI is already teasing the development of an 800 PPI display which would represent massive increase in pixel count, somewhere in the realm of 2088 x 1768 resolution (assuming the same 3.42 size). Even though 1920 x 1080 looks sharp and fine on a standard desktop monitor or HDTV, the nature of a VR headset demands much more pixel density to achieve the same apparent fidelity. That’s because the screens in a VR headset are mere inches from your eyes, while being magnified and stretched by the lenses around a far larger field of view. As display technology achieves increasingly higher resolution, the image in the headset becomes clearer and more immersive, thanks to it being harder to see the individual pixels. The effect of 3D is also enhanced as resolution increases because lines become sharper, making it easier for your eyes to identify depth cues. But the need to render high resolutions means the need for greater processing power to fill all those pixels, a challenge which many think foveated rendering should make much more tractable in the next few years. The post Display Conglomerate JDI Developing Ultra High Resolution Panels for VR Headsets appeared first on Road to VR.